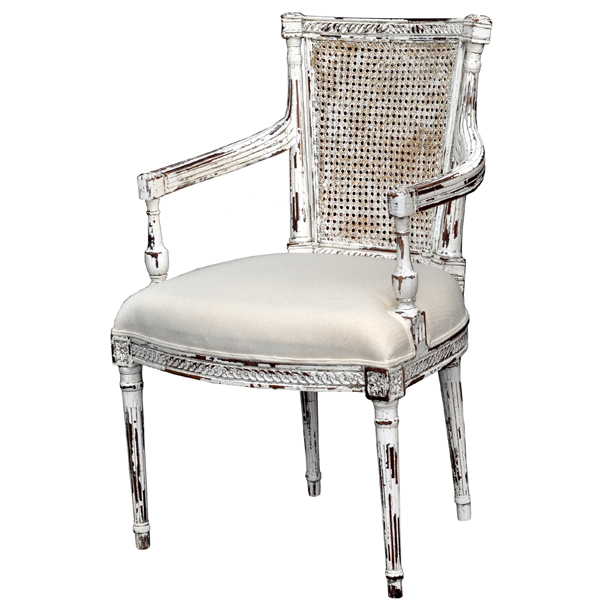 A most unique armchair, features rattan back and carved details throughout. Shown in White Heavy Distressed painted finish with Extreme Distressing Premium Finish applied to that. Fabric show in Linen. Handcrafted from solid premium mahogany.